You have probably heard of probably heard the word “superfood” before, and you may even be able to list a few, but what is the true definition of a “superfood”? I challenge you to take a moment to define the word “superfood” in your head. Truthfully, there is currently no legal definition of a superfood in the United States. There are no defined “superfood criteria” to declare foods eligible, which makes the term misleading at times. However, we can agree that superfoods are foods that are especially rich in nutrients, such as vitamins, minerals, and other natural components such as antioxidants, flavonoids, and fatty acids. Trying to compose a list of the “best superfoods” is like trying to make a list of the best people. Like people, foods have unique strengths and weaknesses that make them super for different reasons. Sometimes they’re not better nor worse than one another, they’re just different. Therefore, instead of comparing superfoods to one another, let’s discuss the qualities that make them super so that you can find a place in your life for the ones you love. Probiotics are the “good bacteria” that are naturally present in the gut. Maintaining a healthy community of probiotics in the gut boosts immunity and overall health. Consuming probiotics is a great way to maintain the healthy community of bacteria in your gut, or “gut flora”. Foods that are rich in probiotics include fermented dairy products (ex: yogurt, kefir), kimchi, sauerkraut, miso, and tempeh. Kefir is one of many fermented dairy products. Fermentation is a process which naturally converts sugars into acid, alcohol, or gas. Special bacterial cultures, called “kefir grains”, are added to kefir to ferment it. The bacteria cultures consume the sugars in the kefir causing it to thicken. This makes the consistency of kefir similar to a drinkable yogurt. It is an especially rich source of probiotics and contains more than 50 types of bacteria! Kimchi is a traditional Korean food made by fermenting vegetables with probiotic lactic acid bacteria. Other ingredients such as garlic, ginger, and red pepper powder are added to kimchi to boost flavor and function. Kimchi is a great vegetarian source of probiotics that provide health benefits similar to those of fermented dairy products. Kimchi is a staple in the Korean diet. It is commonly served on the side at meals and had with a variety of dishes from meats and seafood to salads and grain dishes. Antioxidants cancel out the free radicals that might be floating around in your body. Free radicals are molecules with unpaired electrons that damage cells in your body. Body functions (ex: breathing, exercising) as well as lifestyle habits (ex: smoking) produce free radicals. When cells are damaged by free radicals they are susceptible to disease. Antioxidants come to the rescue by protecting cells from harmful free radicals. Vitamin C, vitamin E, and carotenoids are all common antioxidants. Foods high in vitamin C are citrus fruits, strawberries, sweet peppers, tomatoes, broccoli, and potatoes. Rich sources of vitamin E are vegetable oils, wheat germ, whole grain products, nuts, and nut butter. We thought carotenoids might need a more thorough explanation. While carotenoids have antioxidant properties, they are different than vitamin C and E because carotenoids are not vitamins. Instead, carotenoids are the pigments that make fruits and vegetables red, orange, and yellow, which makes these superfoods easy to identify. Carotenoids are also found in some dark leafy vegetables even though they are not orange. About 600 carotenoids have been identified and they all have antioxidant properties. Some studies show that a diet high in carotenoids can reduce the risk of developing cardiovascular disease, age-related vision loss, and some cancers. Some examples of foods that contain carotenoids are carrots, sweet potatoes, winter squash, and dark leafy greens. In my opinion, fiber is an underrated superfood quality. Fiber plays an important role in digestion, bacterial growth (the good kind), blood glucose maintenance and weight management. There are two types of fiber: soluble and insoluble. Soluble fiber mixes with water and coats the digestive tract which slows down the passage of food. Examples are oats, nuts, seeds, lentils, peas, and fruits and vegetables. Insoluble fiber cannot be digested by our body and cleans out our digestive system as it passes through. Examples of insoluble fiber are wheat bran, vegetables, and whole grains. Try Elle’s fiber rich Sun-Dried Hummus Recipe! Omega-3s are a type of fatty acid. Our bodies cannot make omega-3 fatty acids so it is essential that we obtain them through the food that we eat. Omega-3 fatty acids play an important role in memory and general brain function. They are also known to promote heart health by cleaning up the bad cholesterol in our arteries. Omega-3s also have anti-inflammatory properties and can help reduce inflammation related to injury or rheumatoid arthritis. Delicious omega-3 sources are salmon, eel, walnuts, vegetable oil, flax seeds, and leafy vegetables. Eggs are obviously not a vitamin, nutrient, or phytochemical. They are a food, in fact a very superfood, and I think they deserve some recognition. Eggs and egg yolks have been denied a place in our diet in the past due to cholesterol content. However, it turns out cholesterol isn’t as harmful as we once thought. We know now that most of the cholesterol in our body is produced by our own liver which is primarily stimulated by saturated fat and trans-fat in our diet, not cholesterol. Furthermore, the yolk is where a majority of the egg’s super nutrients live. Since egg whites contain nutrients too, let’s just make this easy: eat the egg. Eggs are a great source of protein, vitamin D, choline, and carotenoids, and are very easy to prepare, especially now that we can say yes to yolk. This article provides just a glimpse of the powerful properties hidden in the foods that we eat. 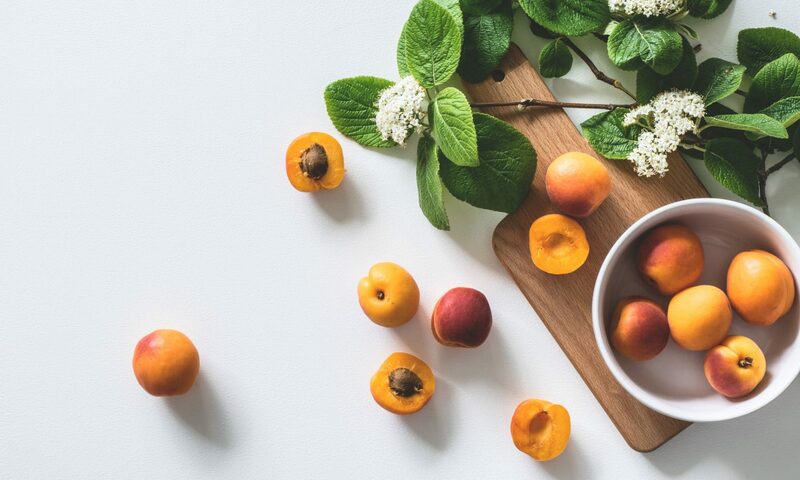 Schedule a consultation with Elle to discover superfoods you love and make every bite count.